Watch Batteries and Bands: We professionally install watch batteries while you wait. This includes oiling the gaskets, installing the battery, and setting the time for you. 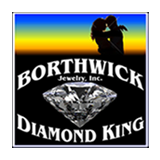 We install, sell, and adjust metal, leather, and rubber watch bands. We do not fix broken watches, this specifically requires watch makers. Watch makers are very hard to find as many people buy a new watch when their old one breaks.